There are many forms of bonds to fit various business circumstances, such as performance bonds; contract bonds; or bid bonds. A surety bond is essentially a risk transfer mechanism. The bonding company (surety) provides the governing authorities (obligee) a guarantee that the construction contractor (principal) will live up to contract obligations. The government often requires surety bonds for construction companies competing for government contracts. Private firms or general contractors may also require a surety bond when accepting bids from sub-contractors. 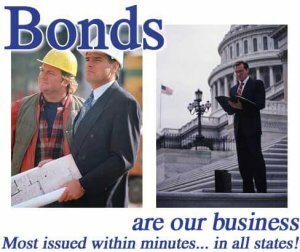 Swiftbonds LLC are the industry leading experts in all forms of construction bonds. A surety bond may be required to resolve disputes by paying a claim in case the contractor does not fulfill their obligations. Should a claim be made for a failure to live up to the contract provisions, the construction contractor will be required to pay back the surety company and may have difficulty obtaining future bonds. For more information on surety bonds, visit the Small Business Administration website: (sba: https://www.sba.gov/surety-bonds). Bond capacity is the dollar amount (or bond line) a contractor may be approved for. The single limit is the largest amount a single bond may be written for on each job. The total limit is the aggregate sum of all outstanding bonds a contractor can carry at the same time. Most companies distribute surety bonds through an agency or brokerage. In return the contractor pays a rate based on the size of the contract. At Swiftbonds LLC, we earned a reputation for providing the lowest possible rates. While many agents can be found locally and online, they must be licensed to operate in the contractor's state. As a professional bond producer we can guide the contractor in the bonding process, helping to establish a relationship with a surety company. We assist in managing surety capacity for the contractor. As a professional bond producer, we can offer business advice and expertise on related issues. As brokers, we gain understanding of the contractor's business. Then guide the company in meeting the submission requirements of the surety company best matched to their needs and profile. All surety companies have various guidelines of their own and will not be suitable for all contractors. Once the bond producer gathers all the required information, it is submitted to a surety bond underwriter who determines whether the contractor is capable of completing the project in question, such as required equipment or labor, and whether they have the means to pay back the bond in case of a claim. This is often called the prequalification process. This may take time as the bond underwriter analyzes the bond-seeker, and the bond producer may called upon for further information or clarification. When searching where to buy a surety bond, construction firms can be confident that Swiftbonds has checked with every state to verify that the surety company is properly licensed to issue bonds in the contractor's state. 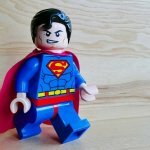 We do everything possible to verify the reputation and integrity of the proposed surety company before documents are signed. Swiftbonds has a demonstrable track record of taking personal interest in our client construction contractors, and over the years we have come to possess an in-depth understanding of the trade, particularly regarding accounting, finance, and familiarity with contracts and contract law. As a highly professional bond producer we represent a vital link between the construction contractor and the surety bond company, and we can be counted on to maintain a helpful and professional relationship with both.